The end is nigh! Yeah, where have we heard that before? When you’ve lived for as long as I have (which is a lot longer than I’d actually like to admit) you’ve lived through a lot of dates that were theorized to be the end of the world. If I had a dollar for every end of the world prediction I’ve lived through I’d probably be a very rich woman right about now, and it looks like I could be adding yet another dollar to my wallet in just a few short months. Today we’re going to take a little look at the latest end of the world prediction that’s making people anxious right now, and what makes it a little different from the usual apocalypse theory. So what is the unusual thing about this latest end of the world prediction? Well, this one hasn’t been predicted by some questionable psychic or ancient Mayan calendar, this one has been predicted by a book that many of you may very well have in your own home. Yep, this end of the world prediction has been made in The Bible, at least that’s what one man has interpreted the Holy text to mean. Yes, the end of the world is coming, and it’s going to be an end of Biblical proportions! Yes, someone has predicted that a Biblical-level apocalypse is coming and it’s going to hit us very, very soon. According to this prediction, the end is coming to get us on the 24th of June 2018, which is just a few months from now! But what exactly has lead us to this specific date and who came up with this prediction in the first place? Well, the person who is responsible for this latest prediction is Mathieu Jean-Marc Joseph Rodrigue, a conspiracy theorist who claims that he has done the math and it’s pointing towards the end of days. Rodrigue has made his prediction based on a specific passage in the Book of Revelations, which he says has lead him to June 24th and absolutely no further. Rodrigue told the Daily Star that the passage that is the root of his prediction says that, “He was given authority to act for 42 months.” And apparently taking this passage and doing a little bit of maths will lead you to the end of days for humanity, and the math says that the apocalypse is nigh! So what are these equations and what do they really say? Well honestly, the details about Rodrigue’s math were a little vague but the basics of the whole thing says that if you take the number of the passage from The Book of Revelations and add it to the crop harvest and price, then it gives up the precise date of the end of the world. Where he got these figures from is beyond me, but we’re talking about world ending conspiracy theories here, people, not actual proveable scientific theory. I think we’re going to have to take this one with a huge grain of salt, to say the least! Rodrigue isn’t shy about telling people what exactly lead him to these mathematical equations, and he says that the source of his wisdom is a voice he heard that showed him the way. He commented, “I heard a voice in the middle of the four living beings. This is wisdom. He who has intelligence can interpret the figure of the beast. It represents the name of a man. His figure is 666.” So how does a voice and a couple of numbers lead us to June 24th? I have no idea, if I’m perfectly honest, but I don’t think it’s time to be worried just yet. So, my little doomsday preppers, what do you think? Is the end nigh, or are we going to be heading into July apocalypse free? Personally, I can’t say I’m worried, it’s not like we haven’t lived through ‘the end of the world’ before, after all. The past few years have been full of apocalyptic predictions and we’re still here, and if this prediction turns out to be true then well, at least I had a good run on this planet! 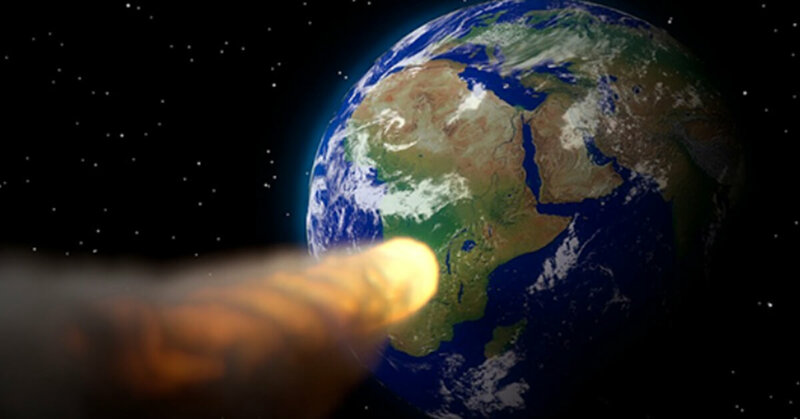 What do you think about the Bible’s prediction that the end of the world is coming in just a few months time? Are you worried that the end is finally nigh? Or do you think that this is just another prediction that will never go anywhere? Let us know what you think in the comments and don’t forget to share this article with your family and friends!